Take some stress out of buying a home by understand the truth beyond today's top real estate myths. Whether you're buying your first home or jumping back into the market after owning a home for many years, it's easy to fall for some common home buying myths. Don't let these persistent real estate myths get in the way of your retirement plans to enjoy life in an active adult community. Both home buyers and sellers often hear that they can save a lot of money by not hiring a real estate agent and doing it alone. While a real estate agent's commission can seem like a lot of money, it's usually money well spent. 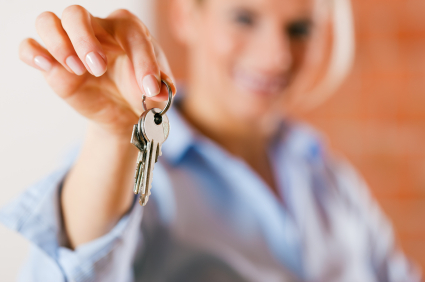 Real estate agents are trained to understand the ins and outs of home buying and selling. They can help you negotiate the best possible deal and avoid costly mistakes. A local agent also has specialized experience in the area you plan to buy. This can be especially important if you are new to the area or arranging to buy a home in another state. The experience and knowledge of the real estate agent becomes even more important when purchasing a home for retirement. Don't let the idea of a large down payment keep you from buying your dream home. Many lenders are flexible when it comes to finding the right loan to fit your financial needs. Loans insured by Fannie Mae and Freddie Mac only require a 5 percent down payment, while an FHA-insured loan only requires a down payment of 3.5 percent. However, putting down less than 20 percent does mean that you will have to pay private mortgage insurance (PMI) as part of your monthly mortgage payment. While national averages tell you something about housing market trends, they do not necessarily describe your local market. Likewise, a sellers market in a nearby city doesn't mean that you will face a lot of competition buying in a suburb. When shopping for a home, it's important that you look at recent sales in the area you plan to buy. Location really is key when it comes to real estate and similar homes can be priced very differently in different neighborhoods. If you are buying a home in a popular area, you may not need the deepest pockets to win out over other bidders. You can sweeten your offer with perks besides raising the sale price. If your offered price is reasonable, the seller may choose your contract if you're willing to be flexible on settlement dates, if you have no contingencies or if you are prepared to put down more earnest money. You may even want to write a letter explaining how much you love the home and why you want to live there. The housing market is recovering and interest rates are still low. While renting a home may seem like a good idea while the market continues to stabilize, it could end up costing more in the long run. Rental rates are already on the rise due to an increase in demand for rental properties. Investing in a home today while prices are still very affordable and rates are low can ensure you get the most house for your money. While renting may be appropriate for buyers moving to a new area to get a feel for where they want to purchase, in most cases the benefits of buying a home outweigh any perceived savings associated with renting. To get the most from your investment, do your homework before buying a home in an active adult community. Enlist a reputable real estate agent, research your chosen area and find the home that is best for you.